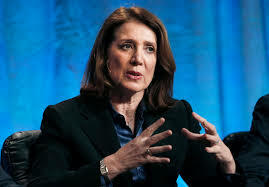 Ruth Porat will take the same position at Google and will be one of the few female top executives in Silicon Valley. When it comes to the world of Silicon Valley, Morgan Stanley CFO Ruth Porat has leaned in and will be moving into the CFO slot of Google. Google, which made the announcement Tuesday, says Porat will succeed current CFO Patrick Pichette in May. Porat, 57, has been with Morgan Stanley for 28 years. She will be replaced by Jonathan Pruzan, 46, co-head of global financial institutions banking, according to several news sources. Porat joined Morgan Stanley in 1987 and has served as vice chairman of Investment Banking, global head of the Financial Institutions Group and co-head of Technology Investment Banking. Pruzan joined Morgan Stanley (MS) in 1994, after spending four years with PaineWebber. He currently is global co-head of the financial institutions group, a role he took on in 2010. “Healthy change maintains the vitality of an organization, and energizes and engages individual leaders at every level of the firm. These changes are part of our continued path forward from a period of repositioning to a period of growth,” said Morgan Stanley CEO James Gorman, in a statement. Morgan Stanley was the lead bank when Google (GOOG) staged its initial public offering in 2004. Earlier in March, Morgan Stanley Wealth Management restructured its leadership after Doug Ketterer, who led strategy and client management, retired. As part of the changes, Sara Furber became head of Corporate & Institutional Wealth Management and Wealth Management Strategy. There are not many women occupying executive posts, particularly in the C suites, on Wall Street, or Silicon Valley. Notable exceptions include Mary Callahan Erdoes, CEO of JPMorgan Asset Management (JPM) and Marissa Mayer, the current president and CEO of Yahoo. One woman breaking the mold in both tech and finance is Bella Loykhter Allaire, executive vice president of technology and operations, at St. Petersburg, Florida-based Raymond James (RJF). Sallie Krawcheck used to head wealth-management at Bank of America Merrill Lynch (BAC) and prior to that led these operations at Citigroup (C); she now runs Ellevate Asset Management.